The image shows the basic light setup for a new level. Sky light: Floods the level with light. You can also change the SLS Environment to SLS cubemap and specify a new HDR image. 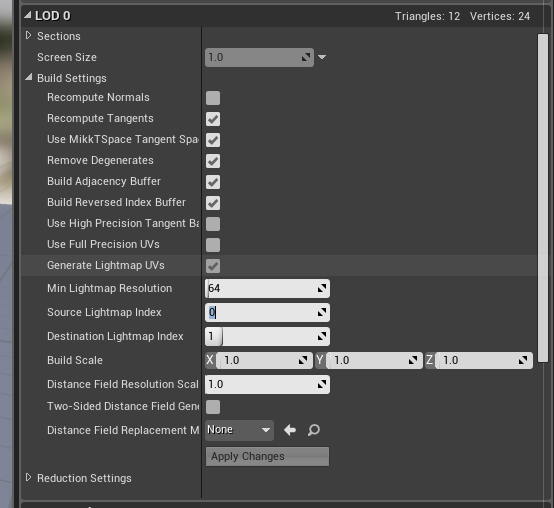 Lightmass Important Volume: Important to have that within the scene to simulate light bounces. In this volume, light photons will bounce 3 times by default. Otherwise, the photon will bounce only once. Outdoor scenes without a LIV will therefore look darker. To do with shadow map resolution, it’s bleeding from the UVs being too close to each other. You need to create a new UV set in Maya with shells for all the faces with bleed. 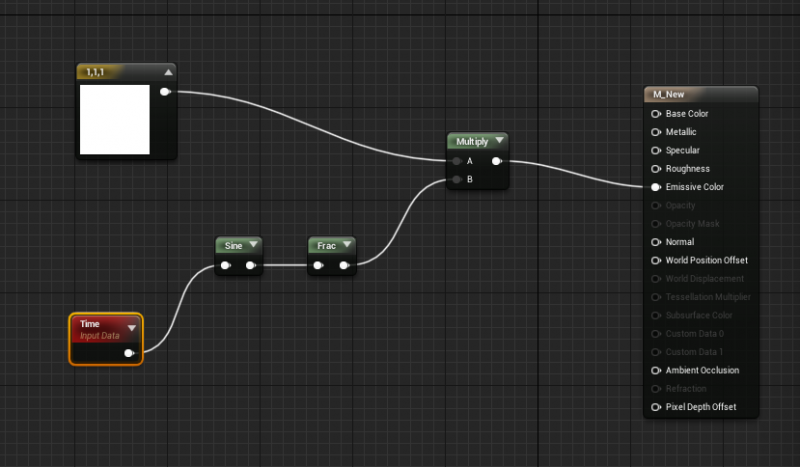 Nav Mesh Bounds issue… Delete the RecastNavMesh object and rebuild the paths, it will refresh the nav. Dynamic lighting should be used really sparingly; it should only be for the sun or a single light in your scene. 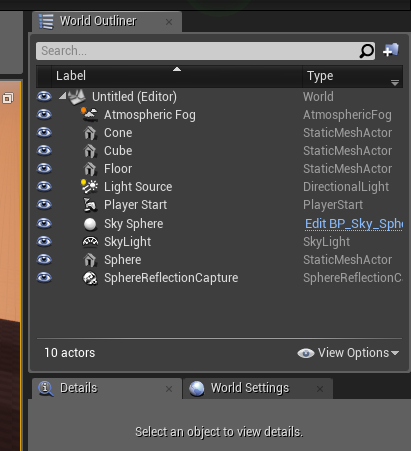 Sphere Reflection Capture : Place around the scene to generate realistic reflections and to improve lighting. 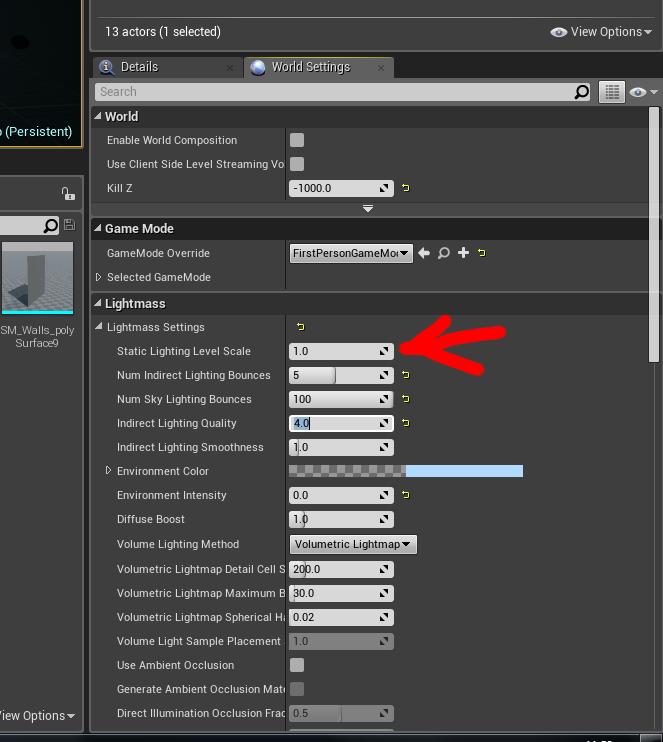 Really important setting: Static lighting level scale. You can up the overall brightness of the scene.